Rebecca Hatch works for a UK lighting manufacturer as commercial director after previously being a consultant lighting engineer for two global engineering consultancies. She says she decided to undertake the MBA to aid her in this role, helping to fill the gaps in her knowledge and learn new skills at a higher level. Rebecca says that the added focus on entrepreneurship and enterprise that LSBU offers is one of the best things about the programme and that, having already studied at the University once, the transition to postgraduate study has been a simple one. 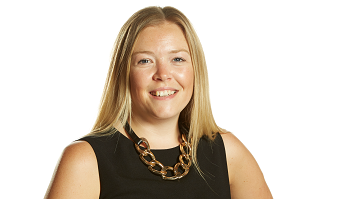 With employers rating the value of an MBA extremely highly, Rebecca believes that this is reflected in the attitudes and personalities of the colleagues she has on the programme. “An MBA is the mark of a well-rounded business manager and aspiring leader, and gives you the tools and skills to be a successful manager in any industry. That is the appeal to employers. People who choose to study an MBA do so in their own time, and clearly want to improve; this attitude is certainly visible in our MBA cohort this year. As an active member of her industry’s institution, the Institution of Lighting Professionals (ILP), Rebecca is currently Vice President Infrastructure and is looking to broaden membership to all areas of exterior lighting. She says that the MBA programme is something that will help her achieve this. On a more day-to-day basis, Rebecca says that she is also using the skill developed on the MBA as part of her everyday work, something that is useful now, but will also help her achieve her future ambitions. “I am using the knowledge I am gaining on the MBA continuously in my job, particularly strategic planning. My role involves growing our business and the elements of analysis (tools and models) used to decide which strategy to use will be very useful when we review which direction to take at different stages of the business. The MBA skills can be applied to any management or leadership role at any level and it definitely teaches you to think differently."